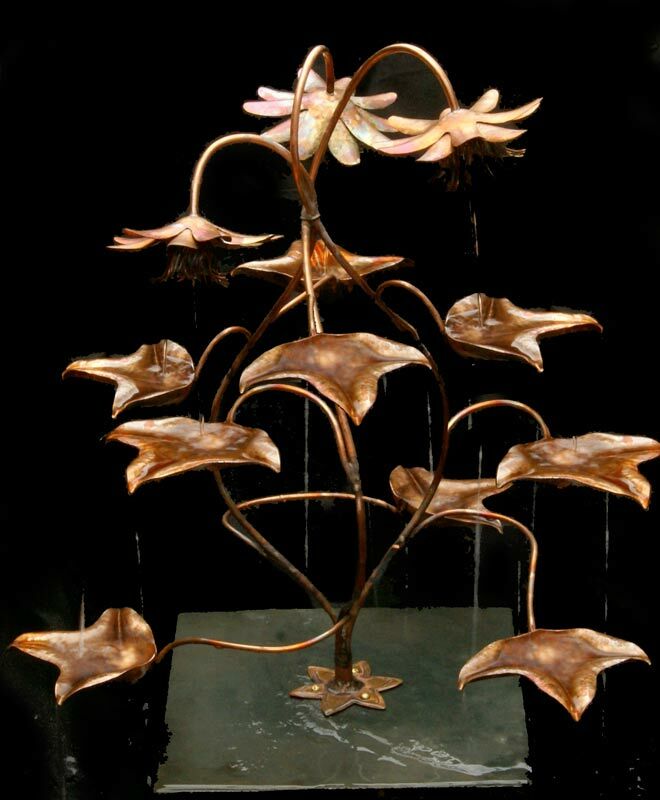 The Passion Flower Copper Fountain has three beautiful intertwining flowers that pour water onto its lower leaves. These in turn divide the water flow still further. 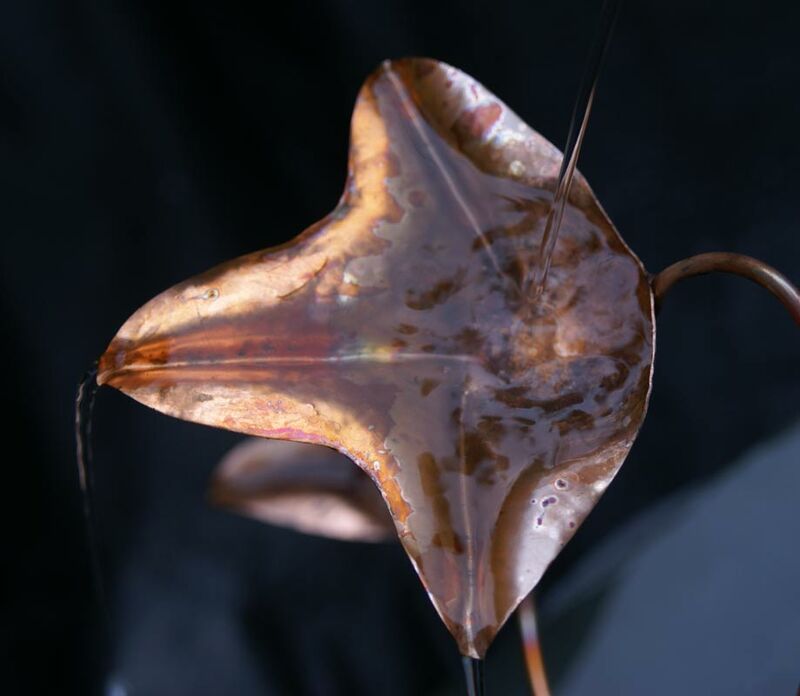 The sound is generated both by the water and by the copper leaves gently resonating. 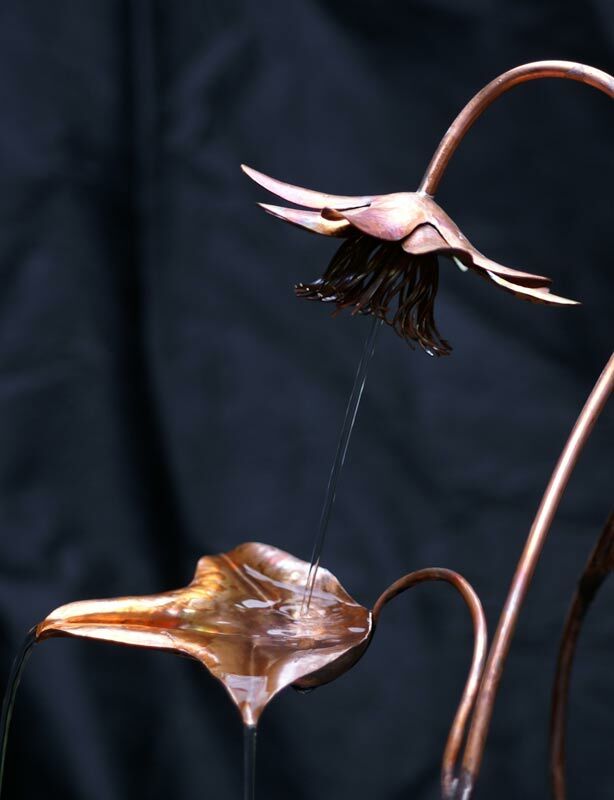 This one really is a soothing and relaxing fountain. 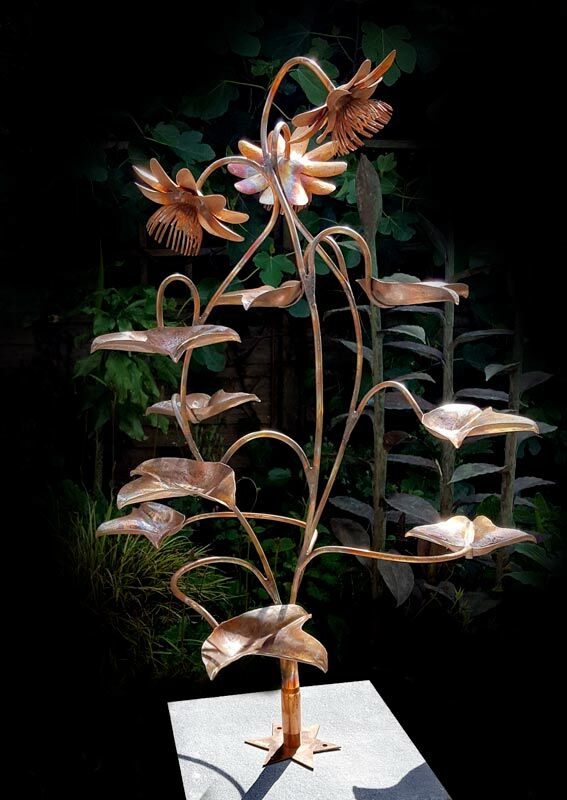 Complete with a heavy base, to enable it to sit either on a plinth in a pond, or pebble pool. 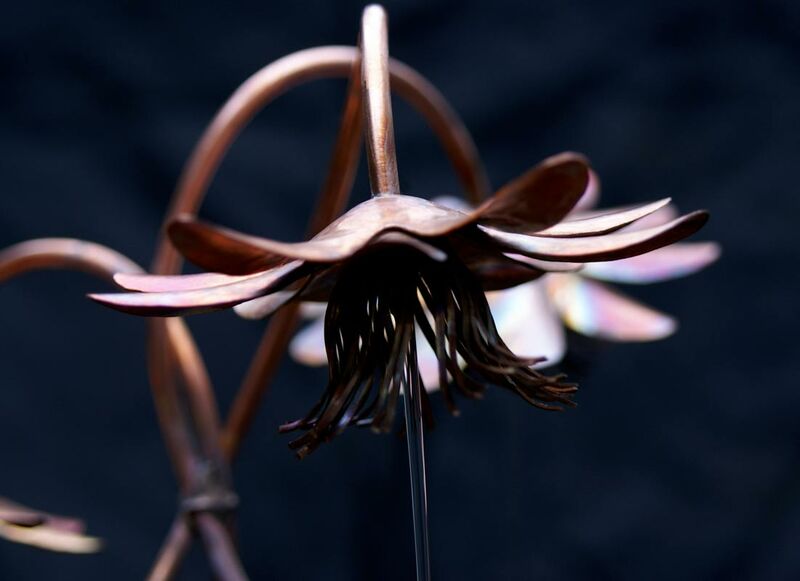 Each copper water sculpture is hand-made by Gary Pickles with great care and attention to detail, here in our Yorkshire workshop.